Sometimes, it's the little things. 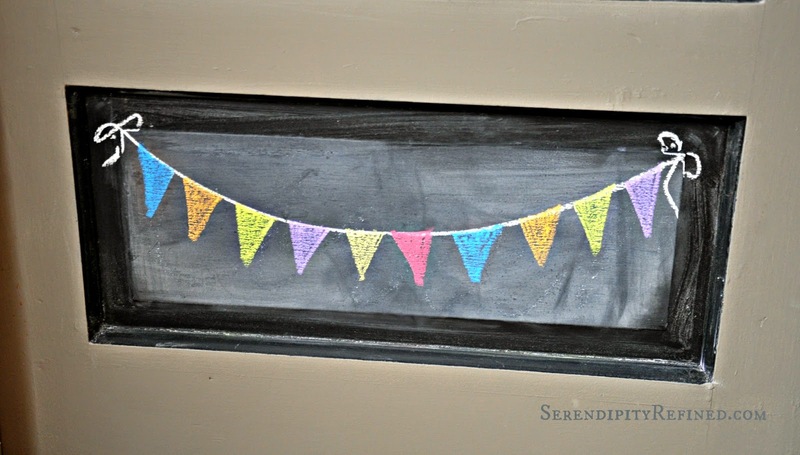 Like chalkboard door art that reminds me to be thankful for the day. As you have probably guessed, now that I'm in the middle of demolition at the French Farmhouse my opportunities to create something pretty are limited to artwork on my chalkboard door and, when I can get to the sewing machine, a canvas drop cloth pillow or two. 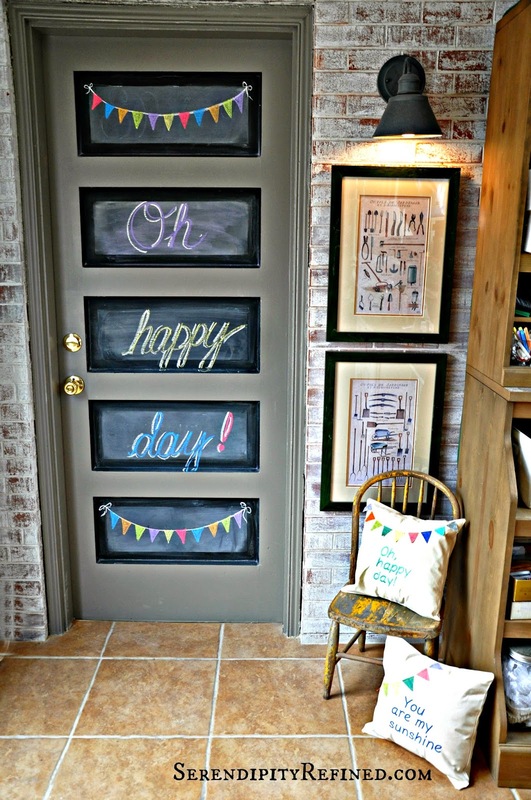 When we moved into our home last fall, I painted the inset panels of the door that leads from our mudroom to the garage with chalkboard paint. Over the last several months, it's become a fun place to create messages that we see every day as we come and go. Until now, I've been using only white chalk but last week, I was in the children's aisle of the craft store and I came across a box of colored chalk and I thought, "Hey, this could be fun"! After the long, cold, gloomy winter and early spring, the little pop of color is a welcome addition to this space. I moved my cute little chair next to the door. 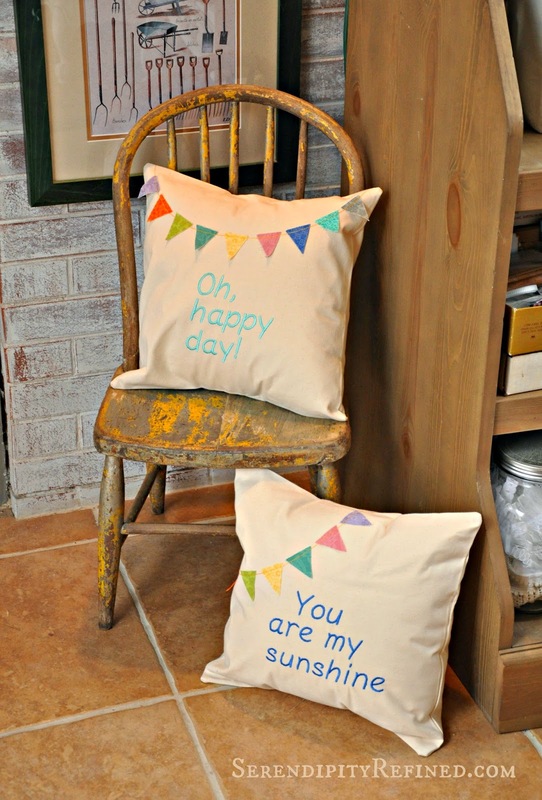 It provides a convenient resting spot for things that I need to remember to take with me the next time that I leave the house....like these canvas drop cloth pillows that I made. I have a sewing machine that embroiders but these pillows could be embroidered by hand or created using Sharpie markers just as easily. 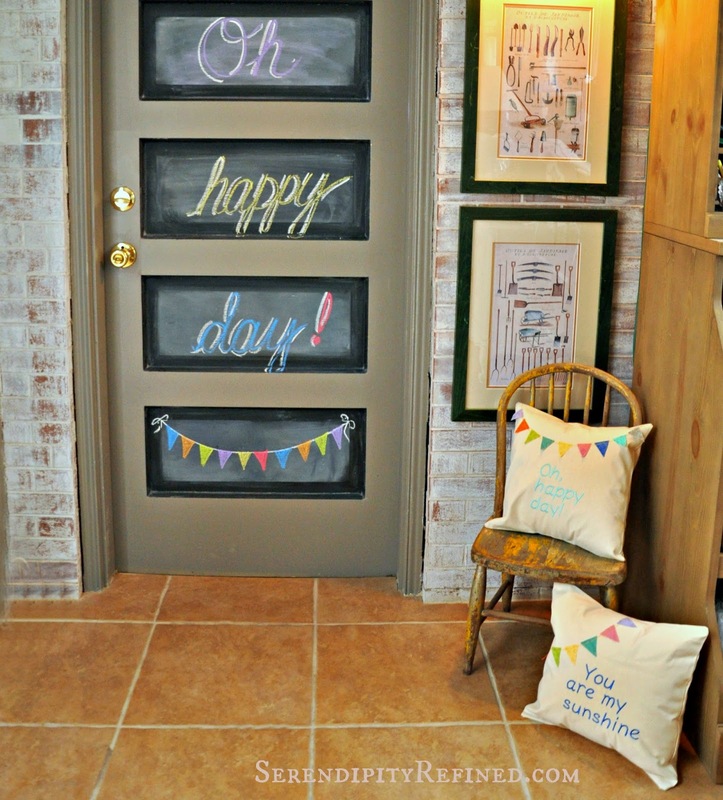 I created this bright, fun, chalkboard door art using just a little chalkboard paint for the backgrounhd and some colored chalk. I simply wrote a cheery message and drew a flag banner which brightened up my boring garage access door. 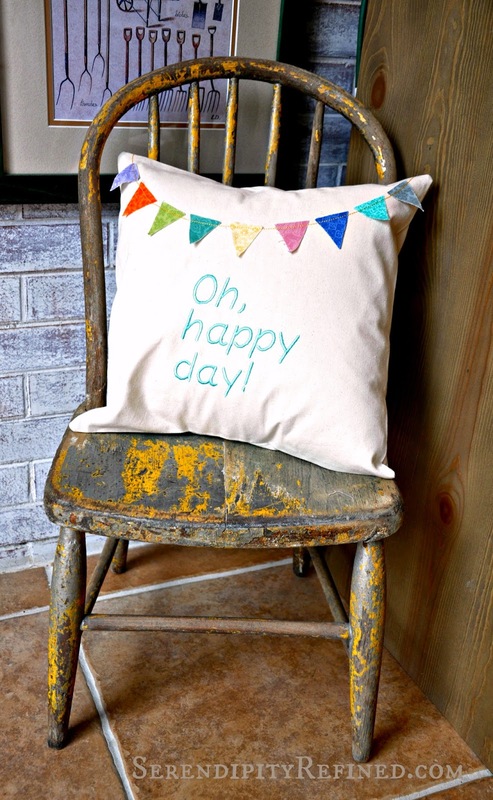 Then, I added a cute little chair and a couple of canvas drop cloth pillows to create a sweet space that gives me a place to set things that need to be taken with me when I leave and one that makes me smile every day! I'll be smiling especially brightly tomorrow as I watch my oldest cross the stage and graduate from college! Congrat's Drew! I'm so incredibly proud of all that you've accomplished and of the amazing man you've become!